5 Tier cupcake tower with custom personalised cupcakes matching your colour scheme or party theme. For inspiration see our cupcake tower gallery. 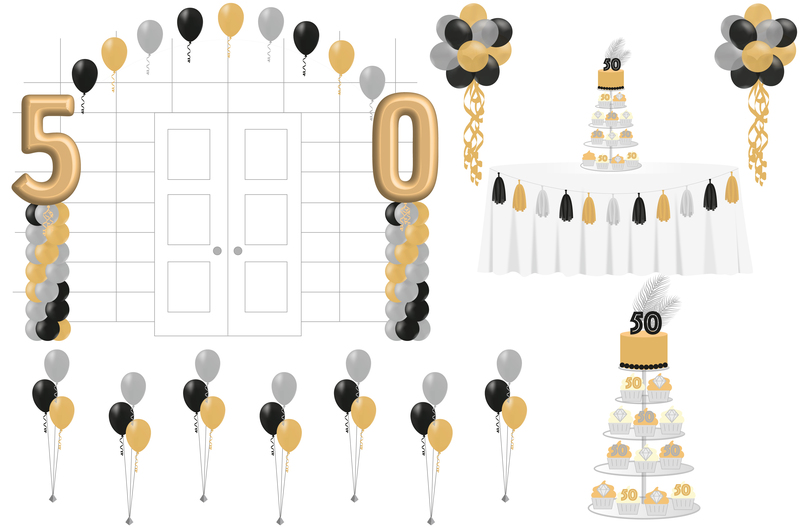 X2 XL foil number balloons on columns with connecting balloon arch perfect for dance floors or doorways etc. X2 Topiary clouds/pompom balloons for either side of cake table. Our decorated cake tables include, tablecloth, runner & hand made tassel garland. You can personalise your balloons with a message, your name or logo see our balloon chart for more information. Why not upgrade your cake table into a show stopping candy buffet for all your guests to enjoy. A beautiful display of personalised sweets and treats in decorative glass jars and platters. View our candy buffet gallery for examples. Personalised cupcake tower, custom cupcakes to match colour scheme or theme. See our cupcake tower gallery. 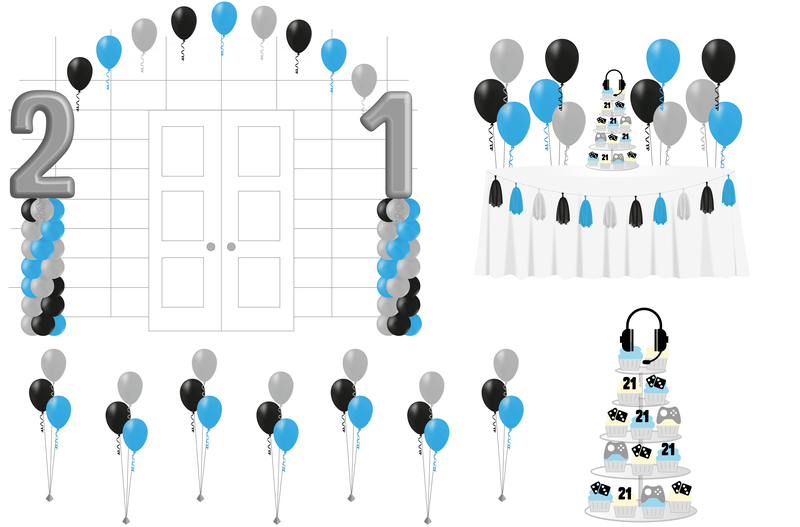 X2 Large foil balloon numbers columns with connecting perfect for dance floor/entraceways etc. X2 Balloon clouds/pompoms either side of cake table. X7 Tabletop balloon bouquets in your choice colours. Cake table dressed with tablecloth, runner & hand made tassel garland. For more balloon delivery options, visit our balloon chart for more information. 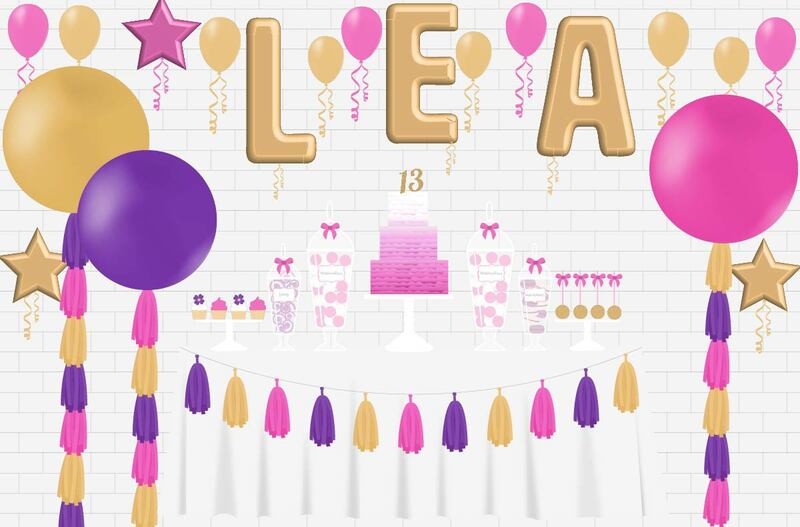 Create the perfect backdrop for your party and spell your name or message in balloons, with our jumbo foil letters £8.50 per each.